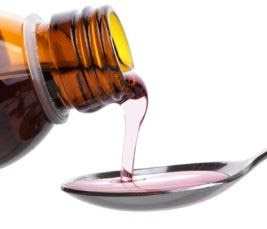 Learn about Oral Liquid Dosage Forms in Pharmaceuticals including Syrup, Oral Suspension, Oral Solution, Oral Drop, Oral Emulsion, Mixture, Linctuse and Elixir. Oral liquids are homogeneous liquid preparations, usually contains a solution, an emulsion or a suspension of one or more active ingredients in a suitable liquid base. They are prepared for oral administration either as such or after dilution. They may contain other substances such as suitable dispersing, solubilizing, wetting, emulsifying, stabilizing, suspending, thickening agents and antimicrobial substances for preservation. They may also contain suitable sweetening agents, flavoring agents and permitted coloring agents. If sodium saccharin or potassium saccharin is used for sweetening, then its concentration in pediatric preparations should not be more than 5 mg per kg of body weight. During manufacturing, packaging, storage and distribution process of oral liquids, microbial quality should be maintained and microbial count should be within the acceptance criteria. Oral Liquids should not be diluted and stored after dilution unless the individual monograph directs for dilution. Diluted oral liquids may not be stable for long period physically and chemically so it should be diluted freshly or should be used within the period as stated on the label. The syrup is a vicious oral liquid that contains one or more active ingredients in solution. The base generally contains large amounts of sucrose or other sugars to which sorbitol may be added to inhibit crystallization or to modify solubilization, taste and other base properties. Sugarless syrups may contain other sweetening agents as saccharin and thickening agents. Syrups may contain ethanol (95%) as a preservative or as a solvent for flavors. Antimicrobial agents may also be added to syrups to maintain the microbial quality of preparation. Oral Suspension is an oral liquid that contains one or more active ingredients suspended in a suitable base. Suspended solids may separate a time period on keeping but are easily re-dispersed on shaking. In the manufacturing of oral suspensions containing suspended particles, it should be ensured that particle size should be controlled with regard to the intended use of the preparation. Oral Solution is an oral liquid that contains one or more active ingredients dissolved in a suitable base. Oral Drop is an oral liquid that is prepared to take in small quantity with the help of a suitable measuring device such as a dropper. Oral Emulsion is an oral liquid that contains one or more active ingredients that are unstable in the water phase and is stabilized oil-in-water dispersions; either or both phases of the preparation may contain dissolved solids. Both phases of the preparation may separate but are easily mixed by shaking. The preparation is fully stable to give a homogeneous dose when taken after proper shaking. The mixture is an oral liquid containing one or more active ingredients suspended or dispersed in a suitable base. Suspended solids may separate on keeping for a time period but are easily re-suspended on shaking. Linctus is a vicious oral liquid that contains one or more active ingredients dissolved in a suitable base that generally contains a higher concentration of sucrose or other sugars. Linctuses are generally prepared for treatment of a cough and these are taken without the addition of water. This is a clear, flavored oral liquid containing one or more active ingredients dissolved in a suitable base that contains a high proportion of sucrose and may also contain ethanol (95 percent) or a diluted ethanol.